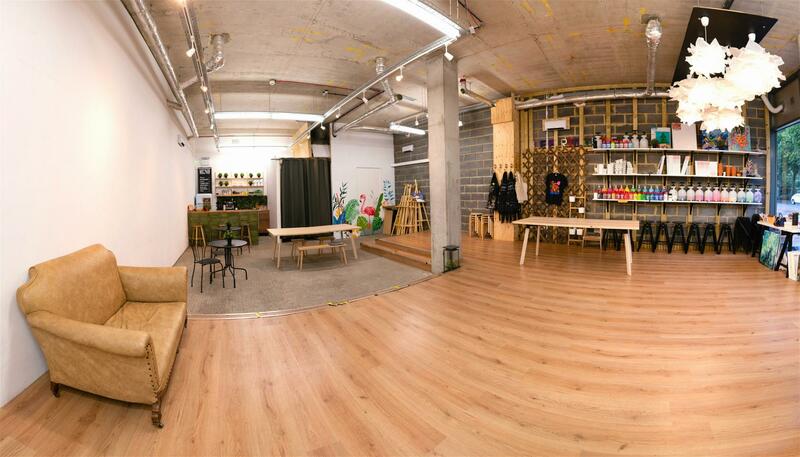 Studio 249 is a hidden gem nestled in the heart of London’s exciting East End. It is comprising of 1,100 square feet of space. It is a spacious, architecturally designed studio with high ceiling and a large glass frontage overlooking a green park. It has been designed as a versatile venue that can comfortably accommodate a wide range of events. 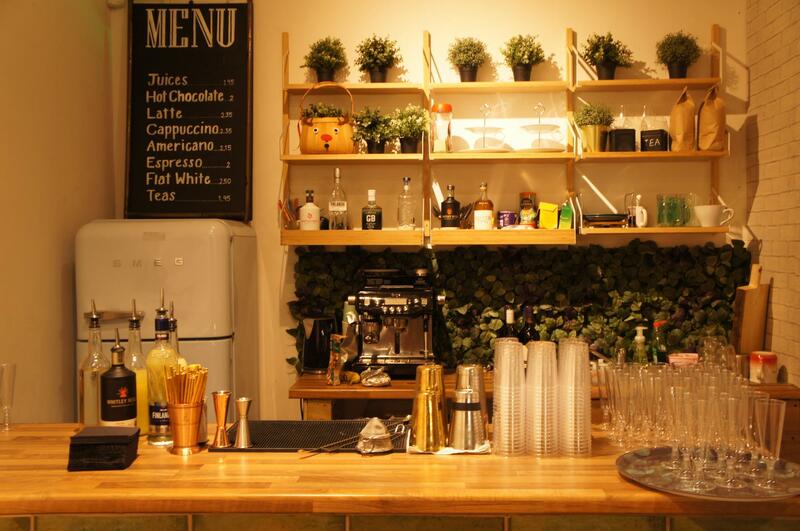 It is a perfect place to hold team meetings, or conferences, private parties or workshops. 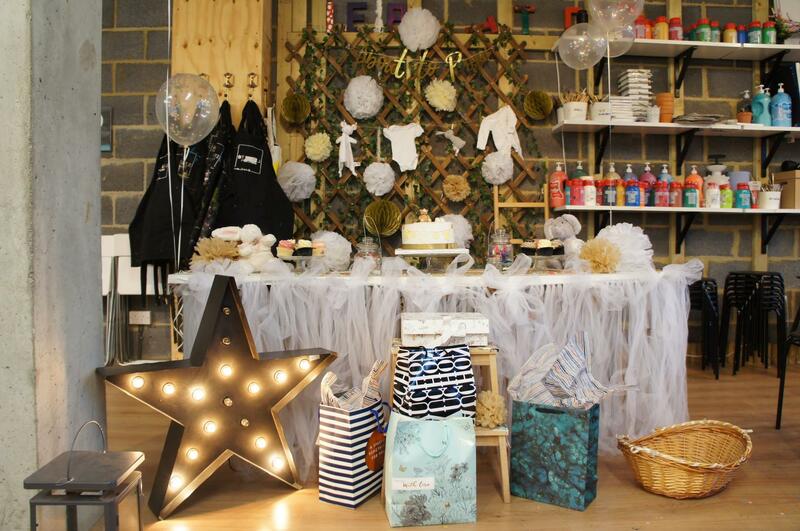 Our team are experienced event managers who can ensure that all of your requirements are met. 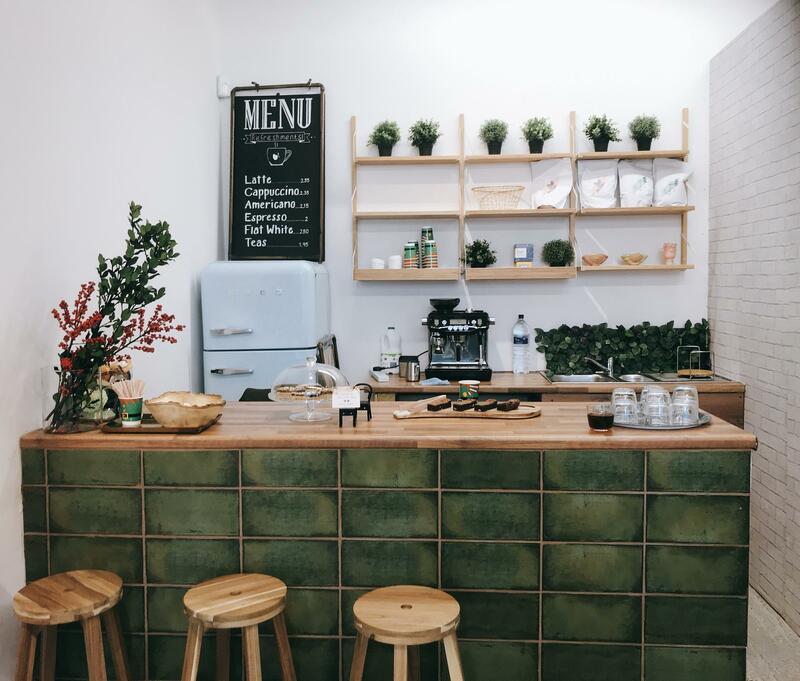 Located mere metres from the Bethnal Green Station and the popular Shoreditch area, Liverpool street is just a short distance from an extensive list of attractions including Brick Lane, Old Spitalfields Market. 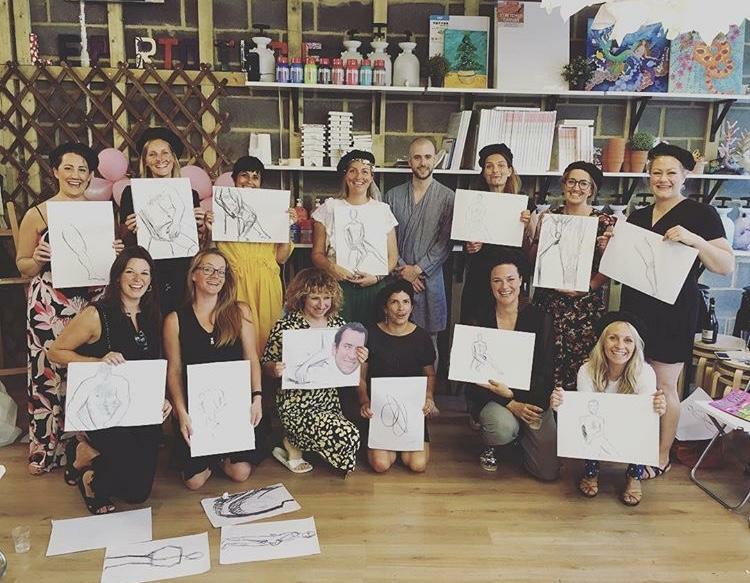 We also can help teams organise unique painting team buildings or private painting parties, please contact us for more information. Minimum hire time is 2 hours. 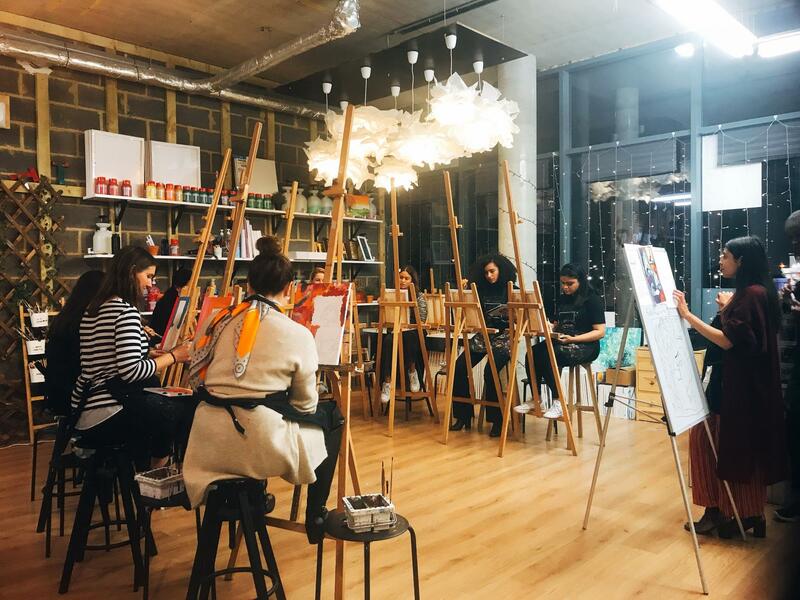 Our Painting Team Building Activites provide a great opportunity for teams to socialise with one another while unleashing their inner artists to engage in more creative thinking. It can also be a great way to get team members to work together toward a fun goal. 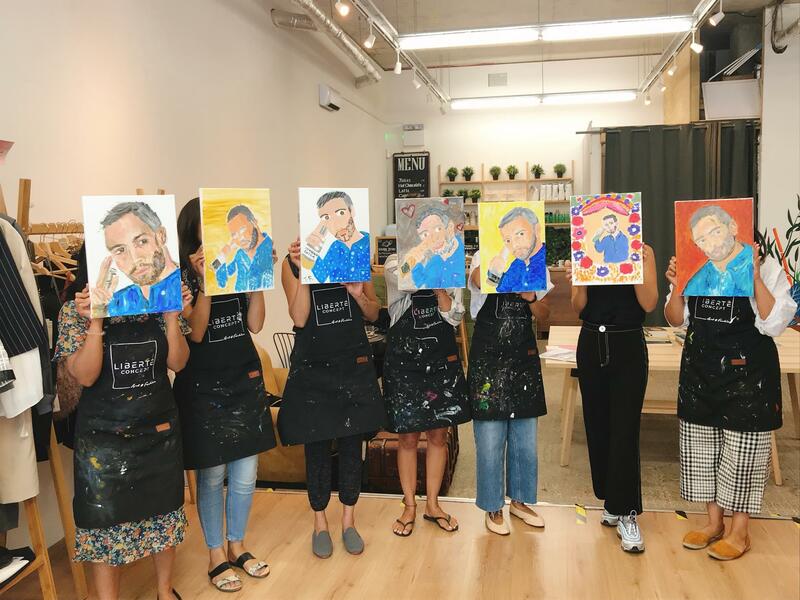 We use ART as a tool to help team members identify the importance of these elements. Bring a distinctive alternative experience and a new perspective on your employees' idea of a TEAM. It encourages team members' brains to work in new ways and jump-starts creative thinking and problem-solving abilities. 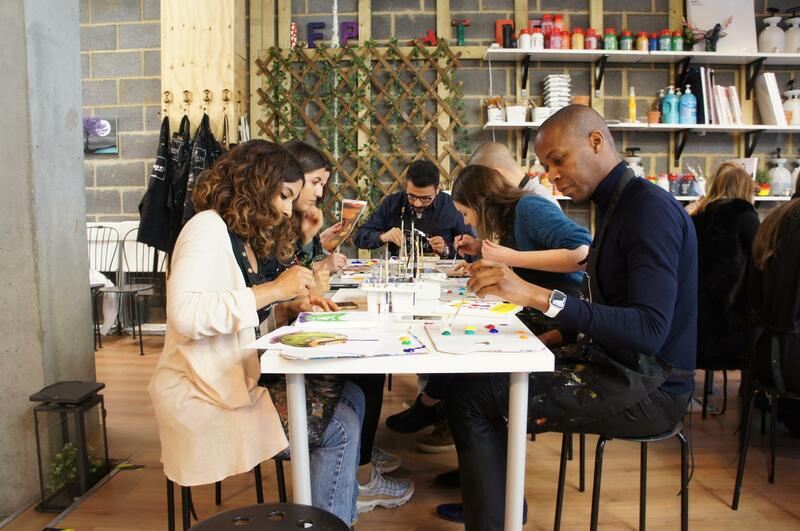 We had many teams from PwC, Bank of England, HSBC, UCL enjoyed our painting team building activities very much! 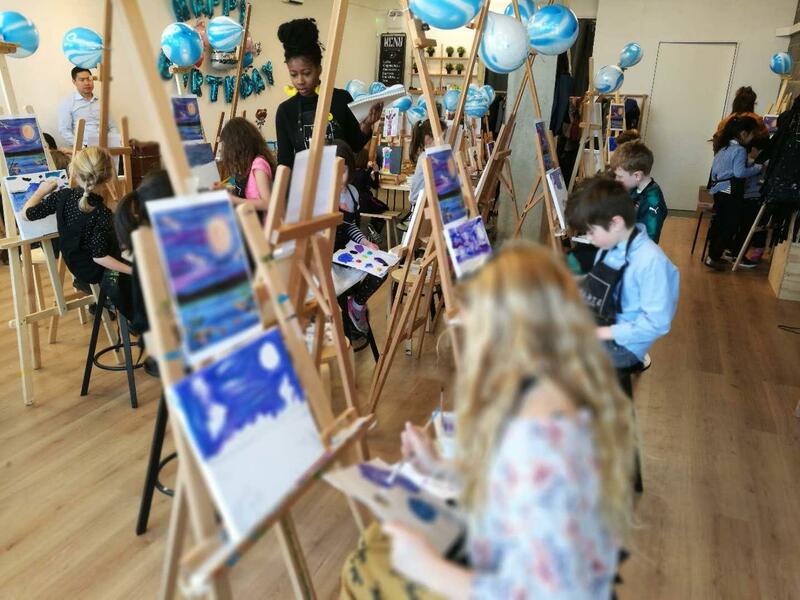 Little Artists painting parties are tons of fun for kids and easy breezy for parents. We plan the activities and take care of setup and cleanup for you. 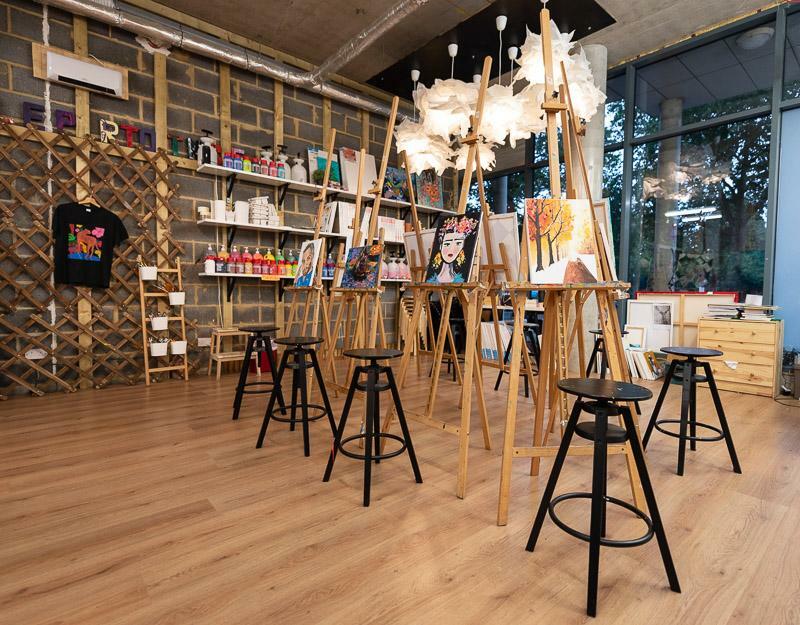 Art supplies are ready and waiting when you arrive. 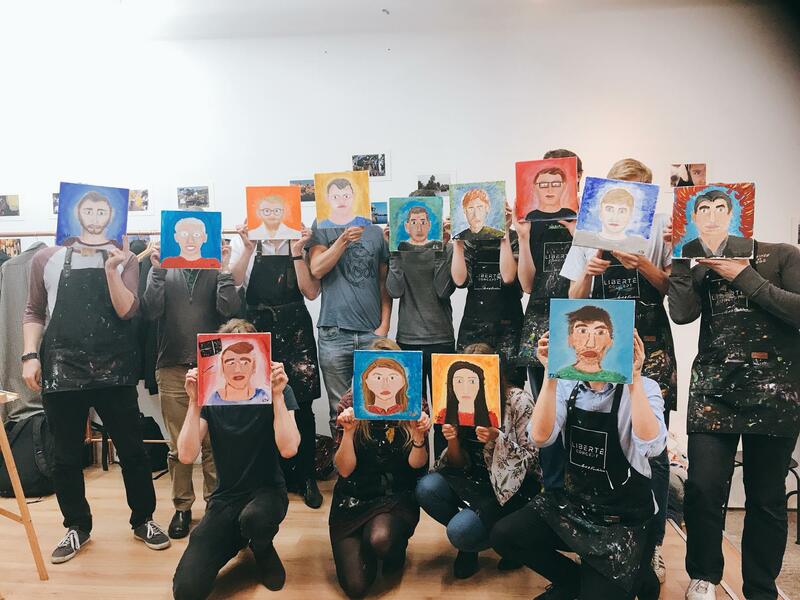 Kids don't need any artistic skills to have fun and paint at Studio 249. VAT included, from 9 am to 6 pm. 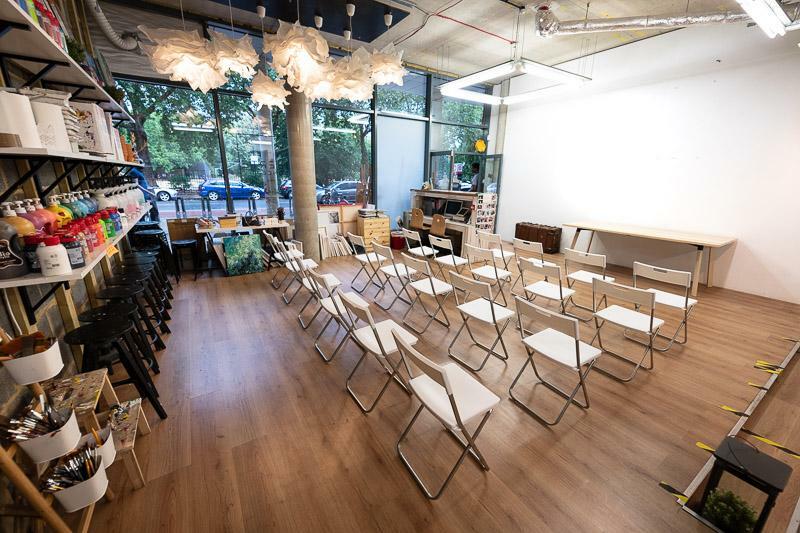 This includes Tables and Chairs, Wi-Fi, AV, Projector, Screen, Flipchart, Fresh Water and Event Support. 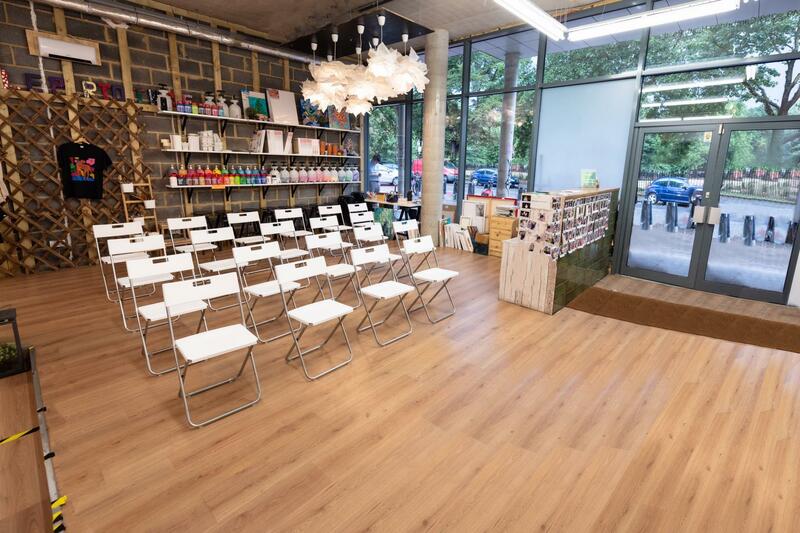 The Liberte Concept Studio is a multi-purpose space provides complete glass frontage and natural themed interior. With 100sqm of internal space, a cafe´and bathroom. 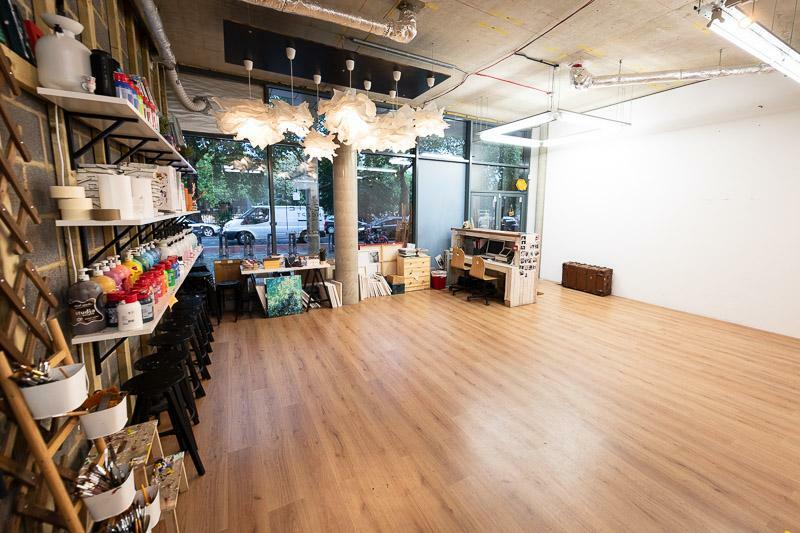 The Studio is highly adaptable and suits workshops, exhibitions, product launches, business meetings and conferences, with potential for breakout space. 2 mins walk from Bethnal Green tube station.